6161 Plains Drive, Lake Worth, FL 33463 Was Sold By Top Agents In Atlantic Estates. Treu Group Real Estate did it again! 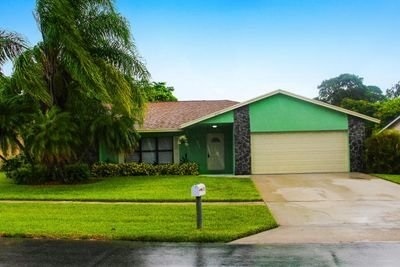 Another Lake Worth home was sold for top dollar and in days with multiple offers. The home was originally listed for $245,000 and within a few days, we received multiple offers. After 6 days, we negotiated a contract over the asking price, and sold the home at 102% of the original listing price. That gives the seller $5,000 more in their pocket! Whether you're selling or buying a home, The Treu Group Real Estate has the experience to help our clients. So if you're thinking of making the first steps in buying or selling, we are more than happy to work with you. If you want to get great deals in the market or want to sell your home fast for most money, your first step is to call the top Lake Worth agents.